First, all of these "guns" are actually TOYS. That's right, they are just toys. They cannot be modified to shoot any real bullets. But because they look real, the expectation of every player is to be responsible and treat these toys as if they were real. This includes basic safety, controlling where its pointed when not playing in a game, ensuring proper storage and transport to and from games, not waving the guns around in public places causing all sorts of alarm, respecting fellow players and respecting the general public as well. 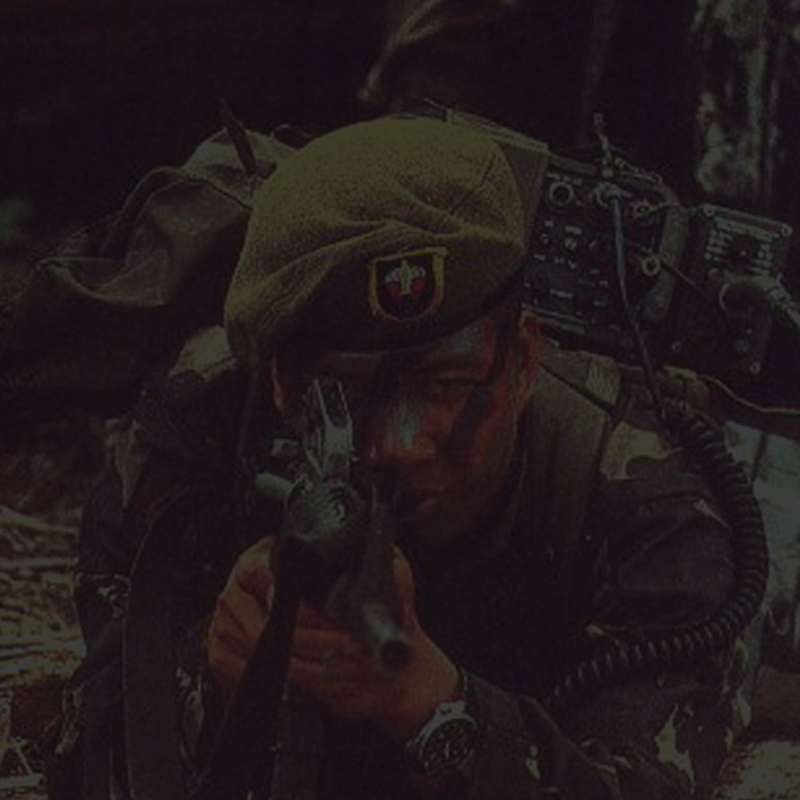 There are three types of "guns" that are used in airsoft. Springers which are single shot guns, gas blow back (GBB) which rely on compressed air to fire a shot, and auto electric guns (AEG) which rely on a battery, motor and piston to fire shots. The ammunition used 95% of the time are little plastic bb's. The impact of getting hit is actually LESS than that of a paintball. But, since projectiles are flying around, players MUST wear proper eye protection. Most players use paintball masks and goggles, and a few also use ballistic rated goggles. Any other protective gear (kneepads, mouth guards, neck wraps, etc) is left up to the individual player. Our players follow the field rules at Paintball Paradise as our default ruleset. We also respect and adhere to "house" rules at any hosting field. Any special rules or changes are established prior to every game, and a player debriefing is held at the field at the start of the session, followed by a mandatory chrony of the guns to ensure they are all within approved limits. General safety and sportsmanship are expected from all team members. The following are the standing field rules at Paintball Paradise, Regina Saskatchewan. Safety goggles must be worn at all times inside the playing area and at the chrono range. Safety goggles may only be removed in the Mash area where barrel plugs are required. There is absolutely no exception to this rule. No shooting into or out of the Mash area, safe zones, or parking lot. All players are required to have barrel plugs in their markers at all times in the Mash area. No blind shooting is allowed. You must always look were you shoot. No physical contact. Players may not touch another player or their equipment at any time during a game without permission from the player. Paintball Paradise reserves the right to approve any item a player brings onto a playing field, such as but not limited to "smoke bombs, paint grenades", etc. All equipment must be approved as safe before Paintball Paradise will allow it to be used on the premises. Avoid the field hazards. Players should be aware that they will be in the bush. Consequently, players should be careful to watch for ruts, trenches, bunkers, etc. on the playing fields. No verbal abuse. Profanity, name calling, etc. Players are expected to maintain good sportsmanship at all times. Players are welcome to bring there own equipment. However Paintball Paradise reserves the right to inspect all equipment for safe operation, and refuse the use of any equipment deemed unsafe. There is no standard uniform requirement at this time. Players currently utilize US Woodland, Tiger Stripe (original and new), British DMP, Cadpat, Marpat, several Soviet styles, and standard OD (olive drab). PDW is a recreational team and the main focus of the members are to enjoy the game of airsoft with like-minded players. Military Simulations or "mil-sim" is the next primary focus, where players try to re-create situations and scenarios as opposed to just general skirmishing. Competativeness and aggressive playing on the field is encouraged, but not at the expense of fun and sportsmanship.